Are Employment Contracts Necessary For Small Businesses? Home > Employment Law > Are Employment Contracts Necessary For Small Businesses? Posted on: December 3, 2018 By: Christopher Brown, Esq. An employment contract should give precise definitions to all essential terms and conditions of the relationship between the employer and the employee. It may also include things like pay rate, retirement options, benefits, stock options, severance, termination policies, etc. It is also possible that your employment contract will include a non-competition and non-disclosure clause. Employers place these in their contracts in order to address issues relating to confidential information and acts beyond the scope of the employment itself. These are used by the employer to attempt to limit the types of entities for which the employee may work when the current employment relationship comes to an end. The employer is trying to protect proprietary material and trade secrets that you may learn throughout your employment, and prevent you from engaging in specific types of work or disclosing corporate methods or formulas to other companies in the same field. If you are a business owner, you are not legally required to have employment contracts in place. In fact, many small business owners rely on implied employment contracts which means that the general terms of employment are determined by state and federal laws and any previous court cases of a similar nature. However, while using an implied employment contract can seem like the most simple and efficient option, it could actually seriously hurt your business in the long run. Listed below are some of the main reasons why you and your business could greatly benefit from using employee contracts. For help with the validity of your employment contract or help dealing with an employment contract that has been breached, reach out to an employment law attorney for help and more information. You may find that one of your employees has a very specific skill set or knowledge of your market and competition, and should they suddenly leave your employ, that you have a hard time replacing them. This can be due to difficulty finding a new employee with the same skills or difficulty training the new employee. While there is nothing you can do to prevent an employee from leaving, having a valid employment contract in place can prevent the employee from leaving without giving you ample notice. This can allow you time to find a suitable replacement or allow for the employee who is leaving to help train the new incoming employee. If your small business deals with confidential information such as trade secrets or knowledge of sensitive materials, it is highly encouraged that you have an employment contract in place to prevent any employees from divulging this information. This can be both during and after employment. To help prevent this knowledge from leaking, you’ll want to include a confidentiality clause in your contract. These kinds of clauses can be tricky and get picked apart in court, so it’s best to have an Employment Law Attorney assist with it. As a small business, you’re probably very aware of your competition and the negative impacts of what could happen if you lose a valuable employee or client to them. An employment contract can be crucial in helping to minimize this with a non-compete agreement. 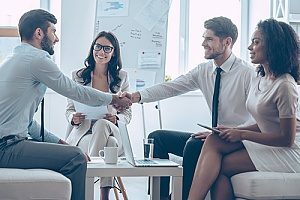 This agreement will limit the employee’s ability to compete to compete with your business, the catch is that you have to include specifics about the time period, geographical location, and type of business. As with confidentiality clause, the help of an Employment Law Attorney is crucial in making sure you have an agreement that can stand up in court. If you don’t have a valid employment contract to refer to for things like retirement options, benefits, pay rate and severance can be a point of dispute between you and your employee. Having them specifically outlined in a contract that the employee signs will help make all of these points crystal clear so that you both have the correct expectations of the employment. If you don’t have an explicit employment contract and instead rely on an implied one, you could find yourself in a “he said, she said” dispute. While hopefully you never have to deal with an employee who’s breached an employment contract, having that contract in place is crucial in allowing you to seek financial compensation for any monetary loss that results from the breach. For example, if you have an employee leave your company and join a competing company, and the employee takes the clients they had with your company to their new company, your business could hurt financially from this. With a valid employment contract in place, you have a much better chance of being able to successfully seek legal action against the ex-employee and potentially receive damages. 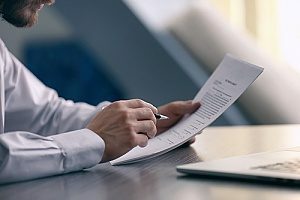 Cases involving a breach of employment contract often award the employer with remedies such as money damages, restitution, rescission, reformation, and specific performance. An employment law attorney can help you manage your case and recoup benefits and awards such as those listed. Consult with an employment law attorney for help with the validity of your employee contract or if you believe your employee contract has been breached. They will provide you with services necessary to give you the best chance to settle a successful case.